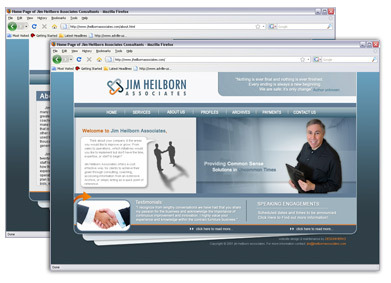 Continue the brand identity onto an interactive Jim Heilborn custom designed and built website. Site contains CMS updatable article section, moving design elements, contact us form, customer questionnaires, and PAYPAL payment gateway . In addition, an email signature was created to further the brand message and drive traffic to the new website.